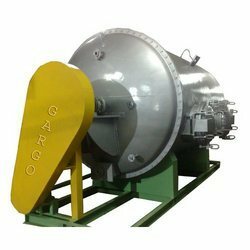 Pioneers in the industry, we offer rotary drum washer from India. Our Rotary Drum Washer is provided with large loading door opening with strong door hinges & 180 degree opening makes front loading easier. Auto temperature control for steam and water by electrically operated Solenoid Valves. Even heating throughout the process controlled by micro processor in our Rotary Drum Washer.